The Staff Members Development Unit at the College of Pharmacy held a lecture on “Modern Treatments for Hepatitis C Virus (HCV)” on Thursday, 8th March 2018. 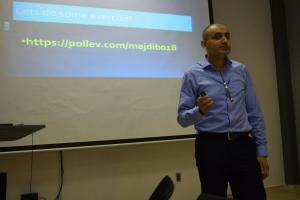 The lecture was presented by Dr. Majdi Bakheetan, Associate Professor at the Department of Pharmaceutical Chemistry. At the beginning of the lecture, Dr. Bakheetan introduced HCV. He said that it was a viral infection that caused hepatitis, which sometimes leaded to serious liver damage. Then, Dr. Bakheetan explained in detail the main modern treatments for HCV, such as Direct Acting Antivirals (DAA). He added that such modern treatment was considered a great opportunity to expand the therapeutic range of HCV. In other words, it was proved that such therapeutic class was safe and effective in clearing HCV from the body, thereby preventing life-threatening complications. Dr. Bakheetan also cited recent studies showing that the use of DAA played a role in the huge reduction of mortality rate and the need for liver transplantation due to chronic infection with HCV. During the lecture, he also explained in detail the working methods of DAA and receptors on HCV for the highest efficiency. In other words, he said that DAA was a direct-acting antiviral treatment that targeted HCV. He also described in detail the effective ways to activate the Sofosbuvir drug inside cells and its working methods to affect the virus with high effectiveness. In this context, till now such modern discoveries that started in 2014 are regarded as a large hope for HCV patients. This is after the complications of such disease caused inevitable death of most of them. 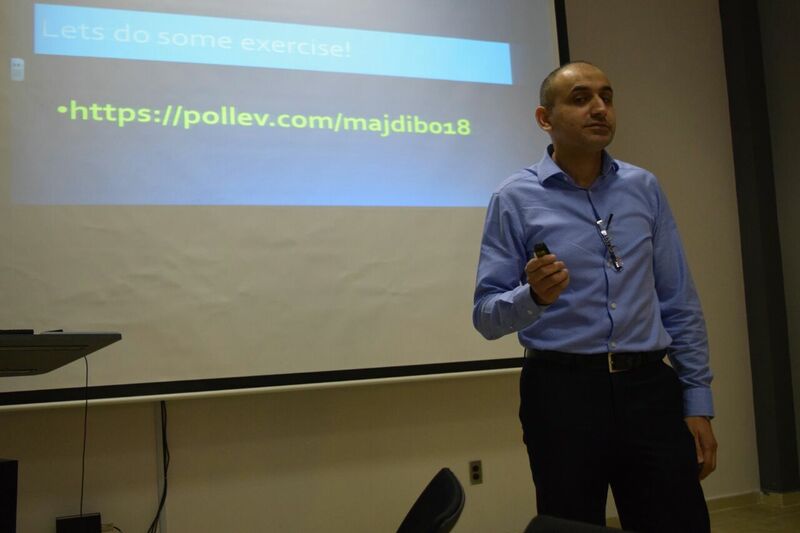 At the end of the lecture, Dr. Bakheetan answered the queries of the College’s staff members about HCV modern therapeutic discoveries.